In September 2015, the US federal regulatory agency, Environmental Protection Agency (EPA) made a shocking announcement that millions of Volkswagen (VW) and Audi “CleanDiesel” vehicles worldwide had an illegal software device to cheat emissions tests. Do You Have an Affected VW Diesel Car and Need Help? The Dr Shezad Malik Law Firm is currently accepting diesel Volkswagen emissions fraud cases in all 50 states. If you or somebody you know has a 2009-2015 diesel VW or Audi with a “defeat device,” you should contact our lawyers immediately for a free case consultation. Please use the form to contact our Attorneys or call toll free 24 hours a day at 888-210-9693 ext. 2, 214-390-3189 for a free case evaluation. Dr Shezad Malik Law Firm is representing owners of these affected Volkswagen diesel vehicles nationwide. Free initial consultation. No fees unless we recover compensation for you. Protecting the rights of consumers who own affected Volkswagen diesel cars nationwide in all 50 states. VW ranks with Toyota as one of the leaders in the automotive world, that prides itself on being environmentally friendly and producing first class automobiles that provide great mileage, excellent torque and road holding capabilities. VW's marketing push, changed all that and they pushed “Clean diesel” technology as an alternative to hybrid gas/electric powered automobiles. VW claimed their diesel cars gave better mileage, greater range between fill-ups, lower yearly cost of operation, no fuel cell battery changes and the responsiveness acceleration of a turbo engine. VW diesel cars were touted as being superior to gasoline or hybrid electric cars. Volkswagen claimed cutting edge engine technology that would vanquish the high emissions of noxious gaseous pollution associated with diesel engines. Anybody would has driven behind diesel trucks know that the emissions from these vehicles are just horrible. Recently, I followed a diesel truck on my daily commute and I was frankly appalled, the truck was stinky and belching huge amounts of black smoke. Volkswagen claimed that these new diesel cars were not your father's diesel cars and that folks who bought them could feel good about being environmentally responsible. 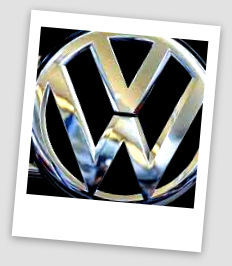 Volkswagen preyed on the environmentally friendly consumers and charged its customers a significant premium over the gasoline engines, in some cases $3,000 to $6,000 over the cost of a similarly equipped gas powered automobile. Recently, the stupendous lies and global fraud was exposed. The U.S. Environmental Protection Agency (EPA) confronted Volkswagen with using special engine software which acted as a “defeat device” to be active during emissions tests. Under laboratory testing conditions, the diesel cars’ emissions stay under the legal limit. But, on regular road travel, researchers found that noxious emissions can be as high as 40 times the limit. Shockingly, Volkswagen now confesses that it had developed and programmed into its diesel engines specialized software which would activate if the cars were being tested in a lab and turn off if the car was on the open highway. According to a Bloomberg report, VW instigated an elaborate scheme from their headquarters in Wolfsburg, Germany. Volkswagen AG executives in Germany controlled the key aspects of emissions tests whose results the carmaker now admits were faked. Emissions testers at the company’s site in Westlake Village, California, evaluated all the cars involved according to criteria sent from Germany and translated into English, and all results were sent back to Germany before being passed to the U.S. EPA. If any vehicle failed to meet emissions targets, a team of engineers from Volkswagen headquarters or luxury brand Audi’s base in Ingolstadt was flown in. After the group had monkeyed around with the car for about a week, the vehicle would then pass the test. VW had no engineers in the U.S. able to create the mechanism that cheated on the test or who could fix emissions problems. Investigation in the U.S. are picking up, with 27 states planning to subpoena the company in a joint investigation. The states will pursue the investigation under consumer-protection and environmental laws. The EPA said that VW could be exposed to fines of as much as $18 billion for reporting false results from the VW Jetta, Golf, Beetle and Passat and the Audi A3. Unfortunately, as these revelations hit the media, many VW diesel cars owners are left out in cold and holding the bag and now are angry with a bunch of questions on the next steps to fix the problem. Read the New York Times article here on diesel car owner compensation options. Universal recall of the diesel cars to change the cheating engine software. This software fix could make the diesel car sluggish, and less fuel efficient. Higher fuel costs since the engine is less efficient. Loss of resale value or diminished value. Dr Shezad Malik Law Firm is representing owners of these affected Volkswagen diesel vehicles nationwide. If you own a 2009-2015 VW model listed below, please contact us for a free case evaluation, call Dr. Shezad Malik Law Firm 888-210-9693 ext. 2 or 214-390-3189. Free initial consultation. No fees unless we recover compensation for you. Protecting the rights of consumer who own affected Volkswagen diesel cars nationwide in all 50 states.